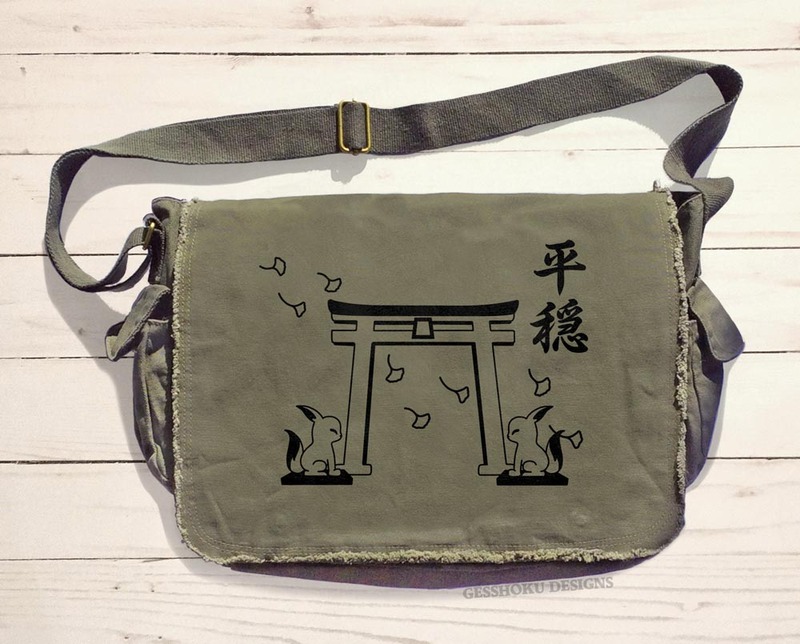 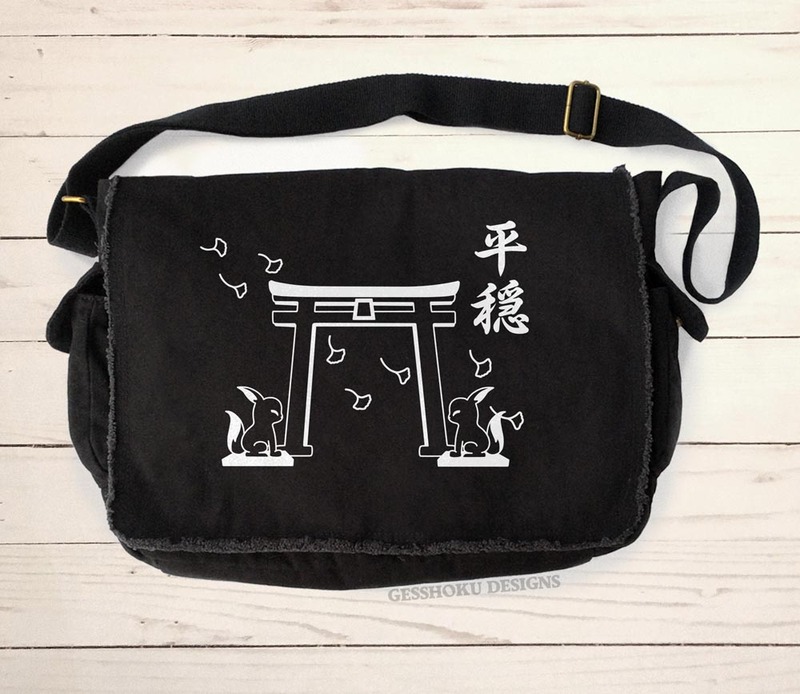 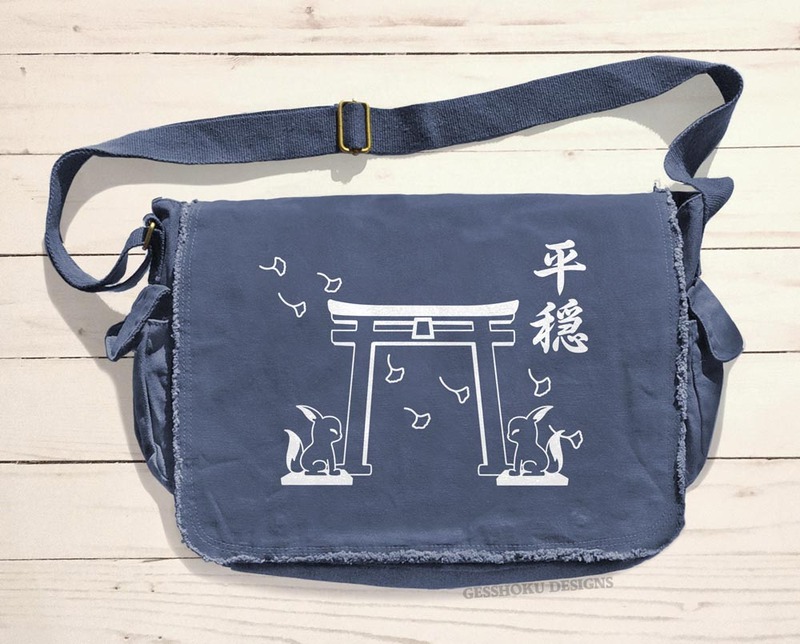 This hand-screenprinted bag shows a traditional torii gate guarded by twin foxes, with the Japanese word 'tranquility'. 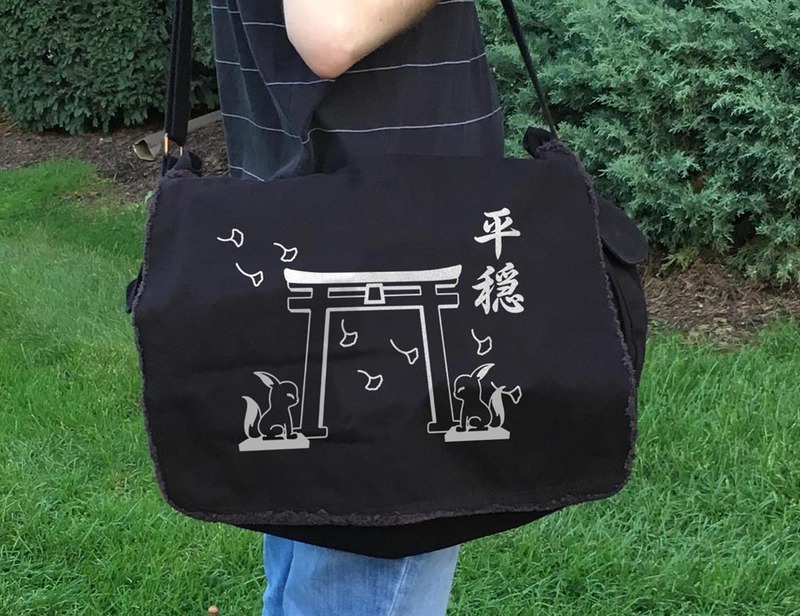 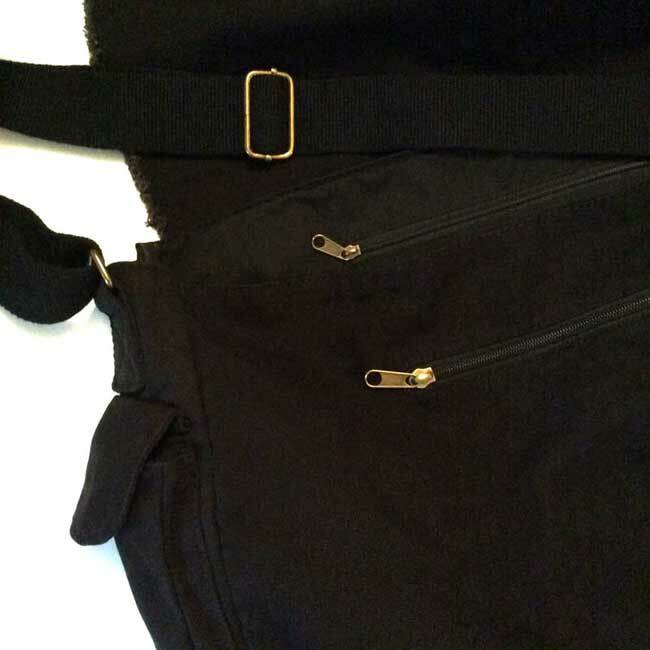 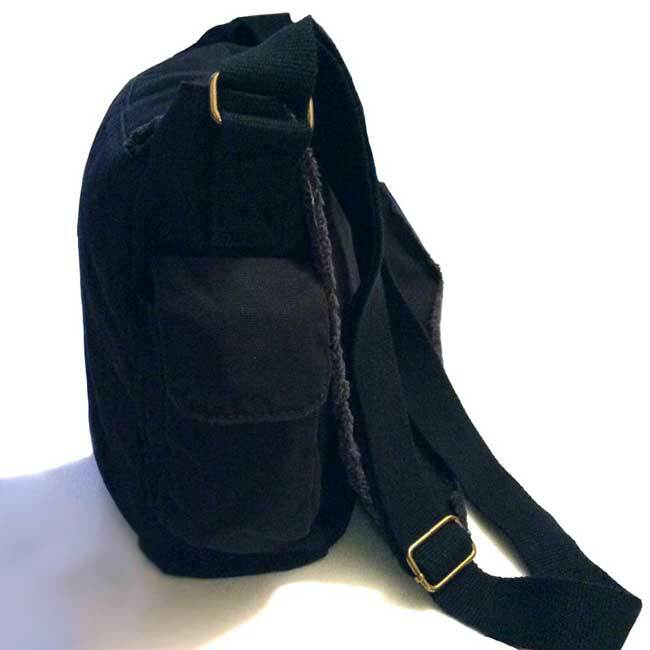 Our messenger bags promise to be the best bag you've ever found. 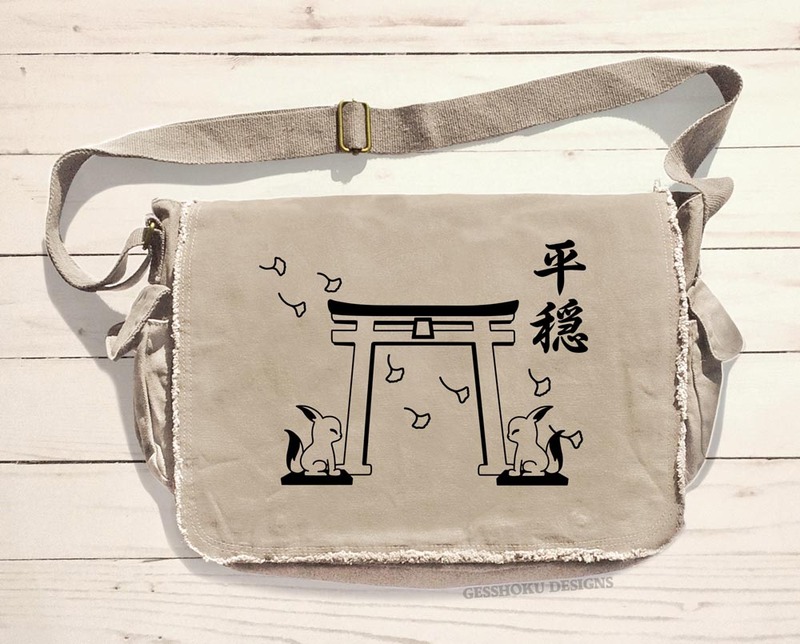 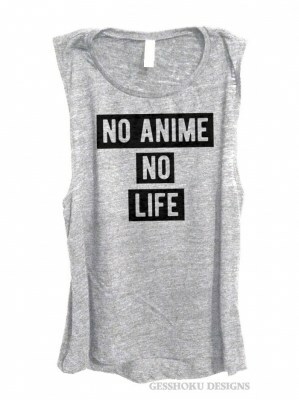 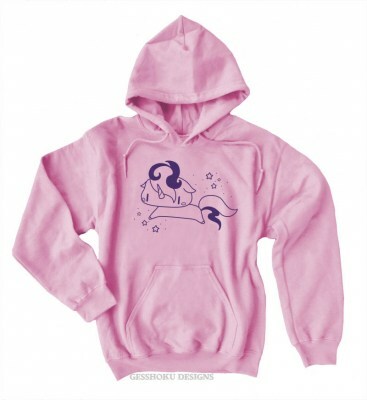 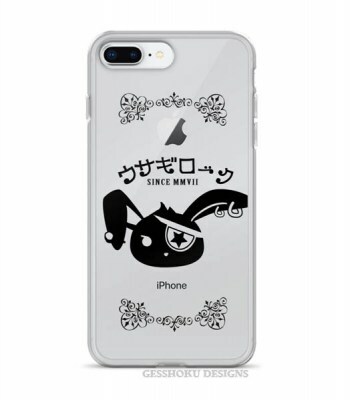 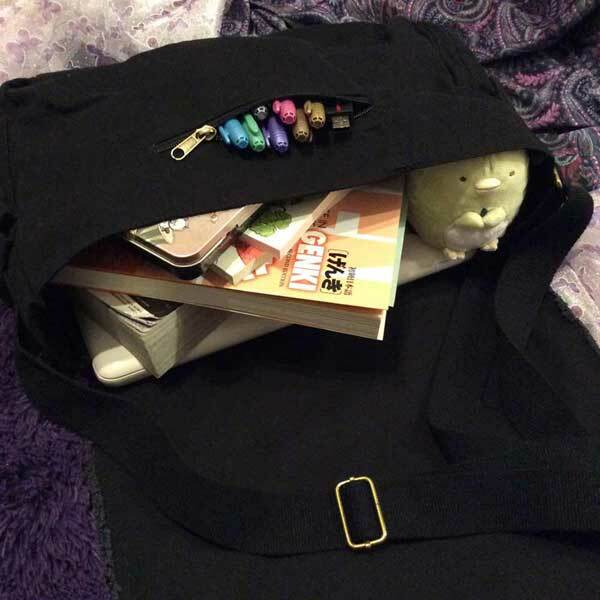 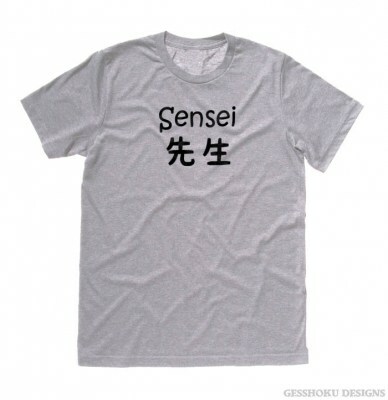 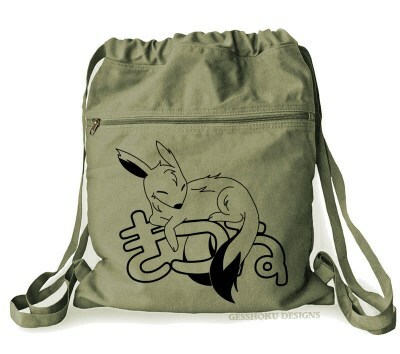 Plus carry a little peace and tranquility Gesshoku's original design.